I have a confession to make. With the exception of Geeta Dutt, I've never really been that big a fan of any of the famous Bollywood playback singers. Obviously I love loads of the songs that Asha Bhosle, Lata Mangeshkar, Kishore Kumar, Manna Dey, Mukesh, Mohd. 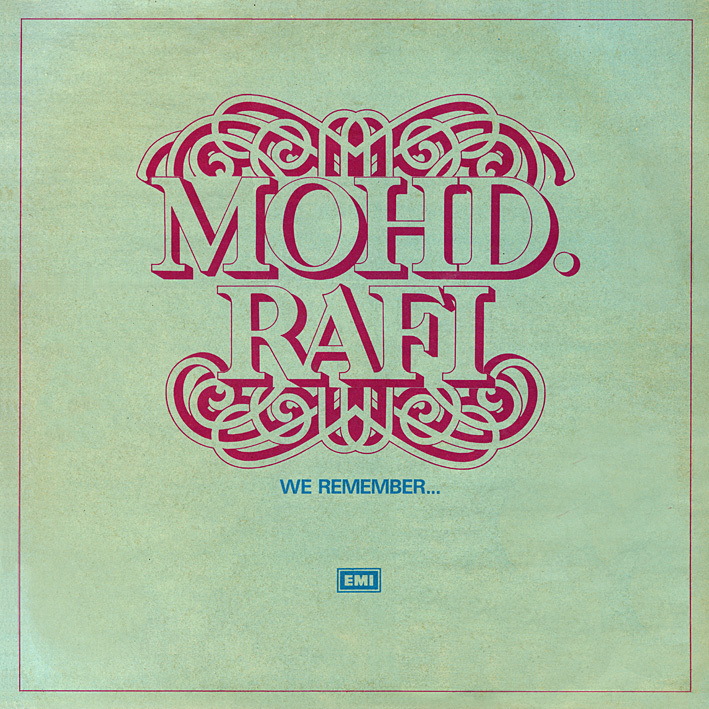 Rafi et al. lent their voices to, but more often than not that is due to the composition and the arrangments. I know I've mentioned on occasion how nobody did ballads quite like Lata; gone on about the spectacularly cool Asha-sung cabaret songs; enthused about those quintessential Rafi beat numbers… but that has as much to do with the material the vocalists were given, I think, as what they did with it. To me anyway. Sacrilege? Well maybe. Don't get me wrong; their contribution to Bollywood film music is massive and I'm not knocking any of them; it's just that the singing has never been my primary approach to enjoying it. Which is why I never look for singer-based compilation albums, and why I've never given these Mohd. Rafi ones I obtained years ago many listens, or even much thought. You could say it was about time, and it pleases me to find there's plenty on them I find worthwhile. PC I'm glad you've discovered the wonders of Rafi sahib! he is a true genius. thanks for this!!! !